Both Dubrovnik and the island of Korcula are very popular travel destinations in Croatia and many people travel between these two places. Below you can find detailed info about main transport options between Dubrovnik and Korcula. Travelling between Dubrovnik and Korcula by sea is one of the most comfortable and scenic options. There are several catamarans running between these two destinations. Nona Ana catamaran runs on this route only during summer season (July - September). The journey takes approximately 2 hours 30 minutes. Tickets can be purchased in Dubrovnik at the Petka Pier, just in front of where the boat departs 1 hour before departure. Tickets can be purchased in Korcula at the Korkyra Tourist Agency. For detailes sailing schedule and ticket prices check GV Line website. 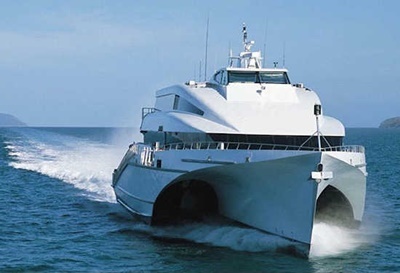 Krilo company runs two catamaran routes (foot passengers only) between Dubrovnik and Split. 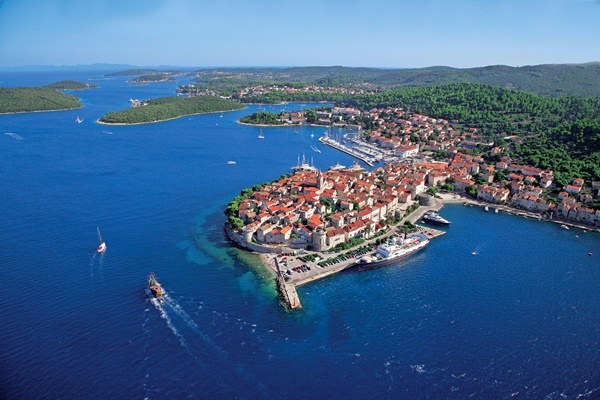 Both catamaran stops in the Old Town of Korcula. Joutney takes approximately 2 hours 30 minutes. Tickets can be bought from Avansa Travel and Elite Travel agencies (both situated in the port of Gruz). For detailed sailing schedule and ticket prices check Krilo website. Lately, Jadrolinija introduced catamaran route from Dubrovnik to Split, starting from beginning of June until mid-September. Catamaran departs from Dubrovnik in the morning and sails to Korcula, Hvar, Bol and Split. The same catamaran returns in the afternoon from Split. For detailed info about this route check Jadrolinija web site. There are regular buses running between Dubrovnik and Korcula, taking approximately 3 hours. Tickets can be purchase on the day and in advance from Dubrovnik and Korcula Bus Station. Tickets can be also purchase online from the Autotrans website. If you are arriving to Dubrovnik airport and need to get to Korcula, the best options would be taking a shuttle bus running several times a day on this route. The bus is operated by the local travel agency Korkyra. For more info and details check their official web site. If you are coming to Korčula from Dubrovnik you can drive across the Peljesac peninsula until you reach Orebic and then take the car/passenger ferry from there to Domince. Domince is located just about 3 km from Korcula town. Ferry between Orebic and Domince runs almost hourly between May and September and takes 15-20 minutes. For detailed sailing schedule and prices check Jadrolinija web site. During the peak summer season there can be long queues for the ferry, so be prepared to wait. If you are staying in Dubrovnik and would like to visit the island of Korcula, one of the options are taking an organized day trip. These tours offers visit to historic Old Town of Korcula and Peljesac peninsula all combined with delicious cuisine and fine local wines.